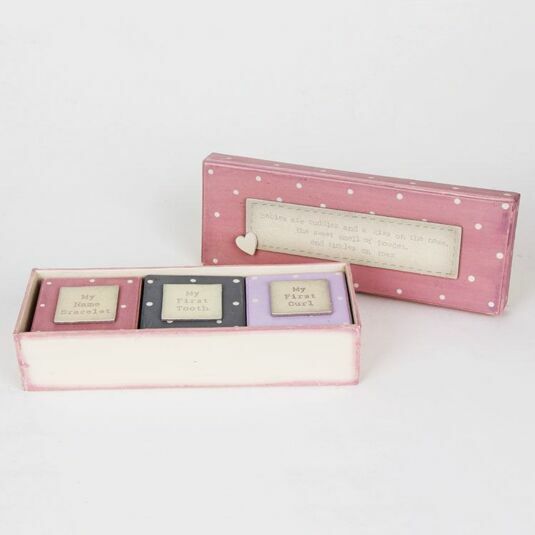 This wonderful triple baby box set is from the East of India Baby range, and the ideal gift for christenings or the arrival of a new baby girl! 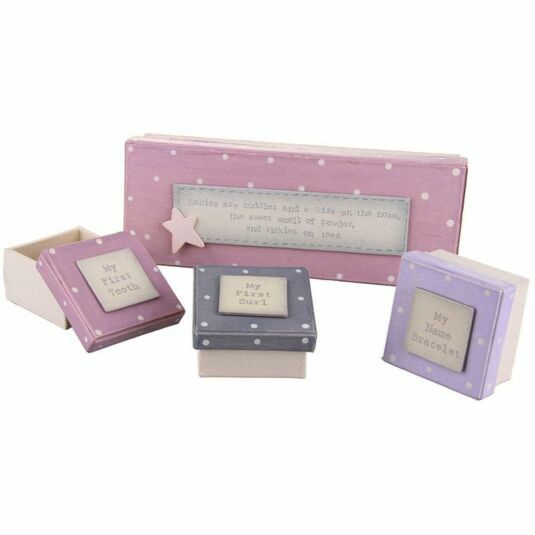 This box is opened to reveal three cute trinket boxes, each with its very own message and colouring. The trinket boxes are approximately 6 cm x 6 cm. The pink dotty trinket box has the message ‘My First Tooth’. The grey trinket box has message ‘My First Curl’. The purple dotty trinket box has the message ‘My First Bracelet’. Never lose these little treasures.